Visit the JIPMER MBBS official website. Enter the user ID and password and click on login button. Issue Date: Admit card / Hall Ticket for JIPMER 2019 will be available for candidates who have properly filled application and is accepted by the JIPMER. Such candidates can download their Admit card on 20th May 2019 ( Monday) from 10:00 am onwards (Tentative). Photo of the candidate as uploaded by him/her. Signature of Candidate as given by the candidate. Roll number of candidate, details of test centre and examination city. Documents: Candidates will NOT be allowed to appear for Entrance Examination unless he/she produces admit card / hall ticket from JIPMER website at exam centres along with valid ID proof in original & a photocopy of the same. Look for announcement tab on official website on the left side of it, it will have "Hall Ticket for JIPMER 2019". Click on it. Candidates must register themselves with basic details to fill Application Form and pay the registration fee. After Registering successfully and paying registration fee, candidate will receive an Email and SMS with Login credentials. Login with provided credential for each and individual candidate. Fill Application Form with Personal, Academic, Contact and other details such as Community, Exam Centre etc. Pay Registration Fee and submit Application Form. No modification in fields like age, name, Date of Birth will be permitted after completion JIPMER Application Form process. Appeal for change in any other information rather than those mentioned above in Admit Card will not be entertained irrespective of any condition. Dhanvantri Nagar, P.O, Puducherry 605 006. Will I be allowed to write the examination without an admit card? No, you won't be allowed to the JIPMER MBBS 2017 examination with your admit card. You must carry a valid JIPMER MBBS Admit card in the JIPMER MBBS examination centre. How to get Admit Cards? Steps for Downloading Admit card for JIPMER MBBS? Open the JIPMER MBBS official link. Enter the “Application Sequence Number/User ID” & “Password”. The JIPMER MBBS Admit card will be displayed on the screen. Download the JIPMER MBBS Admit card. Take the printout copy of the JIPMER MBBS 2017 Admit Card for future use. What are the important points to be considered for JIPMER MBBS admit card? No candidates will be allowed to enter in the examination hall without JIPMER 2017 Admit Card. Candidates have to carry a valid identity proof & photocopy of the same ID proof along with the JIPMER hall ticket(JIPMER MBBS Admit card) 2017 inside the examination hall. Candidate’s JIPMER Admit card will be checked by the invigilator during the examination time. Save the JIPMER Admit card till the admission procedure is not over. What details are present in JIPMER MBBS admit card? Date, time, venue and other instructions of the exam will also be mentioned on the JIPMER Admit card. From when will the admit card be available? 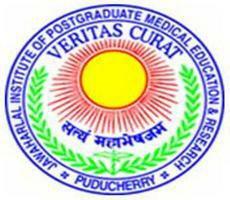 Admit card for JIPMER MBBS will be available from the mid-June. The dates will be released on the official website. The students will be notified for the same through email or contact number.